Printed and/ or Digital (for online applications). We now take Russian Visa photos (but not Russian passport photos). Have your photo taken while you wait. Our work is guaranteed. 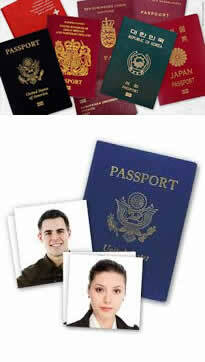 In the unlikely event that your passport photo is rejected we will provide a free replacement. Check your passport - some countries require 6 months left on your current passport for you to enter their country. We are one of the few sites that is usually successful in taking baby passport photographs.